Happy Thursday, friends! I’m sharing some exciting news. 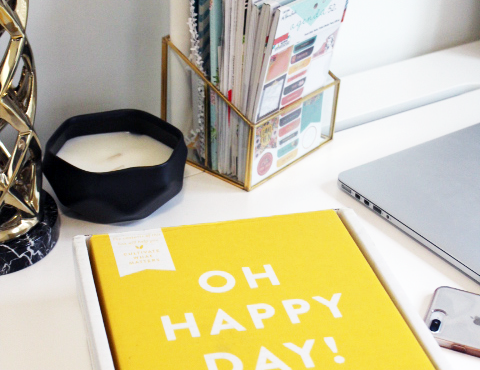 I’m joining in all the fun for one of the most anticipated blogging events there is, the One Room Challenge. 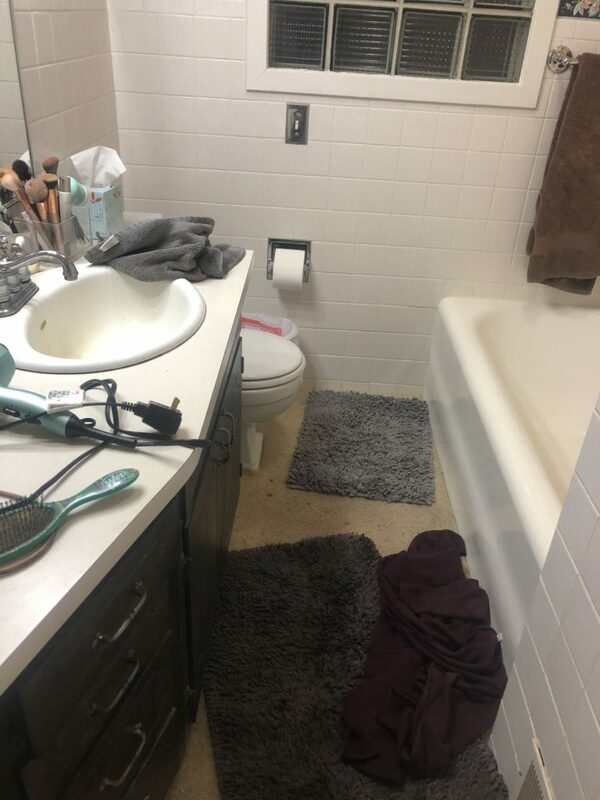 I’ve been wanting to completely makeover my main floor bathroom and this is giving me the perfect opportunity to do so and show you progress on a weekly basis! 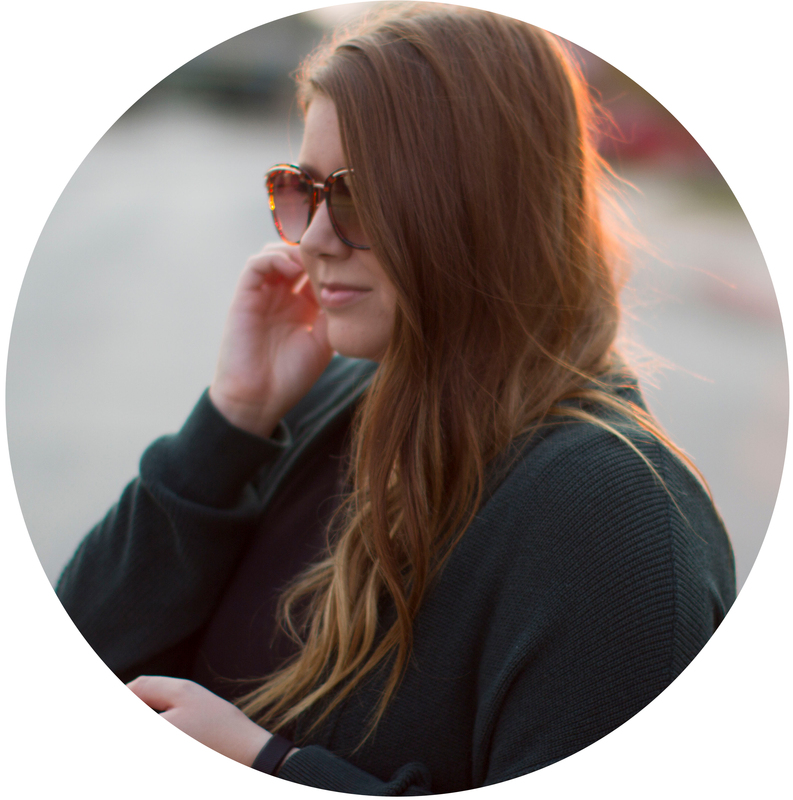 Every Thursday I’ll be linking up with participating bloggers (see their spaces here) and sharing my updates. There’s a catch though – the challenge only lasts six weeks. 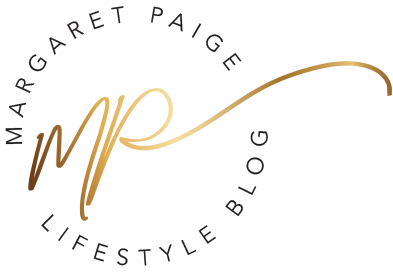 So, join me each week here to see what I’ve been up to and don’t miss the final reveal on May 9th! 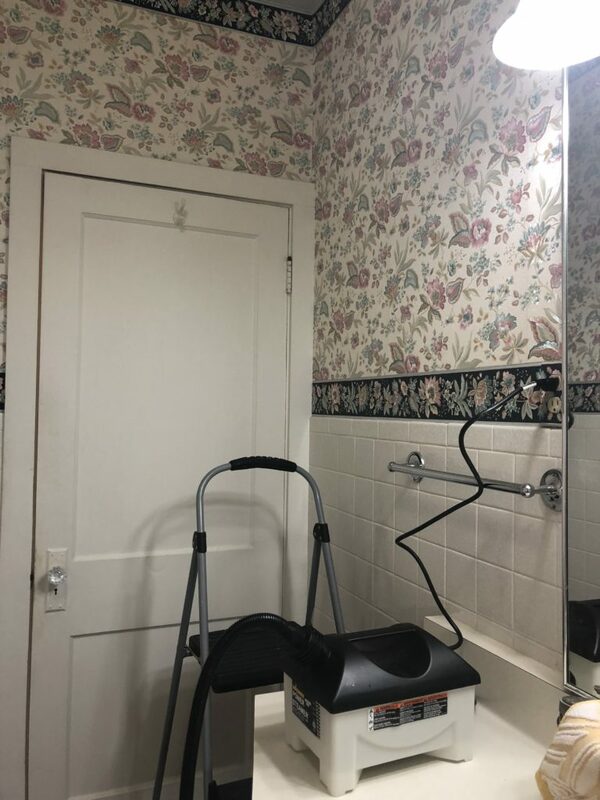 To give you a little history, and for those of you that don’t know, I bought my house about a year and a half ago, with the intention of updating most of the rooms (more on that here). I’ve already updated most of my spaces, but this one has taken a bit longer to do because of cost. I actually tried to make it work in the beginning. 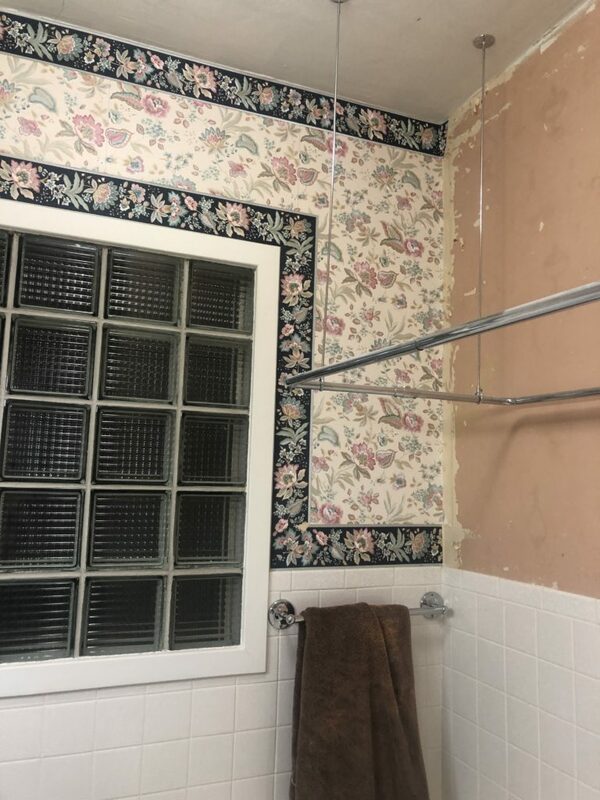 I planned to just remove the wallpaper and paint… But underneath said wallpaper was a plaster of disaster (haha). The walls actually had a really strange spade print on them – as well as probably mold, a lot of holes in the plaster, and chips of green underneath. If walls could talk… And, there was one thing worse than the walls that I also thought I could tackle. This carpet. That square in the corner was me attempting to bring out the original hardwood floors. I tried Goo Gone, some sticky stuff remover with a heat gun (super flammable, don’t recommend), scraping for DAYS – it was hopeless. 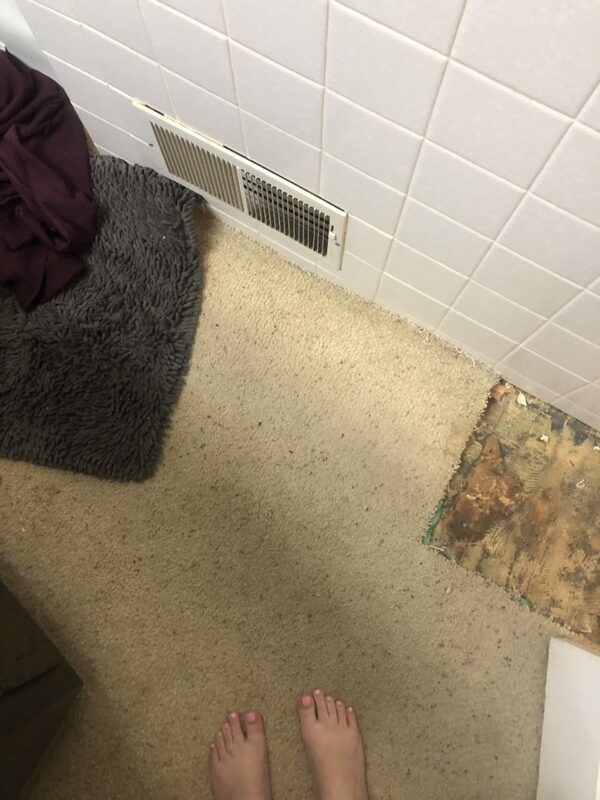 I eventually settled with the fact that the floor wasn’t going to be saved and I needed to live with carpet until I could afford tile. 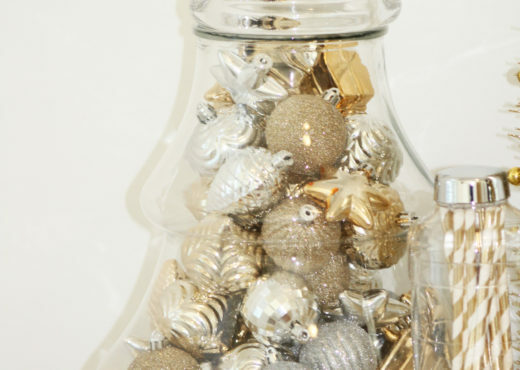 So, after that mess… my bathroom is getting a full-on flip! I think I stopped caring about cleanliness because I knew it was all going away very soon… Side note: nothing can cover up that carpet. Nothing. 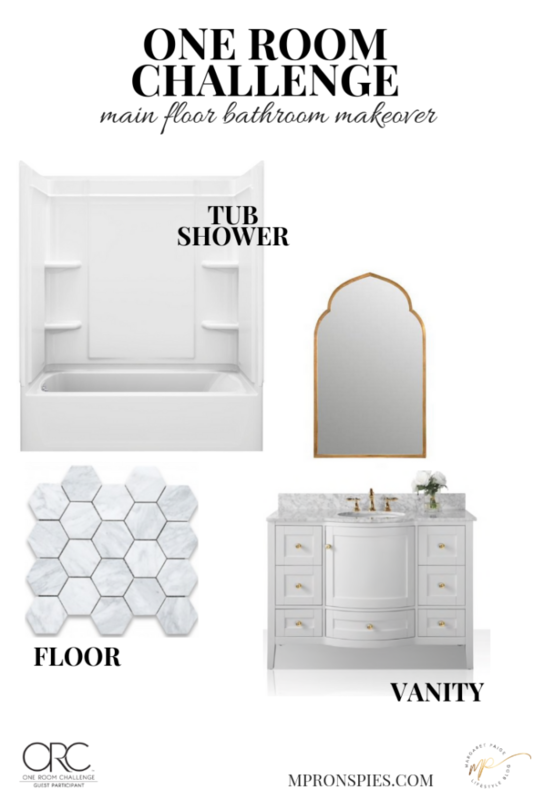 Here is my inspiration board – you can see I want it to fit more with the era of the home (1920’s) and be my favorite color – WHITE! 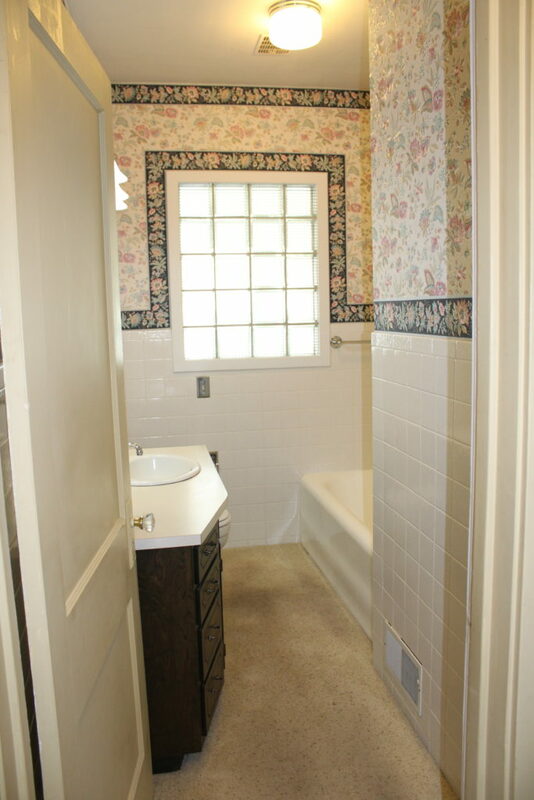 I can’t wait to get rid of the horrible block window, that carpet, and most importantly – put in a shower! I’ll be gutting the entire space, down to the studs. I’ve definitely got my work cut out for me! I’m still honestly unsure what finishing details I want to add. Lighting, wall displays (I’m thinking a few floating shelves over the toilet), shower curtain, and accessories are still up in the air. I’m willing to take all of your suggestions, though! 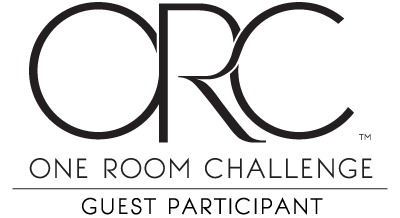 I hope you’ll follow along and enjoy the One Room Challenge progress I share each week. Be sure to follow along on Instagram @mpronspies for more photos and behind the scenes stories! And, don’t forget to check out the 20 Featured Designers and the other Guest Participants in the ORC! I don’t know how you feel about horrible chemicals, but there is a chemical product that will remove mastic from walls and might work for your floor. It is an adhesive remover. I think I found it at Home Depot. Good luck!